Is Christchurch just ‘electric chair’ for Lions? Wellington - The powerhouse Crusaders were installed as hot favourites on Monday to win the Super Rugby crown on home turf next weekend, with the Lions praying for a miracle. The New Zealand outfit have a phenomenal record in play-off matches, winning all 20 they have hosted in Christchurch. If that was not ominous enough, the South Africans also face an arduous flight ahead of the game. New Zealand betting agency TAB had the Crusaders at $1.08 on Monday to win a ninth Super title while the Lions were 7-1 outsiders to achieve their target of avoiding a third straight final defeat. During the regular season this year, the Crusaders won 14 of 16 matches, including a 14-8 victory over the Lions in Johannesburg. The Lions won nine of their 16 games. After the Wellington Hurricanes lost their semi-final to the Crusaders 30-12 at the weekend, coach Chris Boyd rated the defending champions as "20 points better than any side". The Crusaders displayed their ruthless determination midway through the season when they came from 29-0 down to beat the Waratahs 31-29. 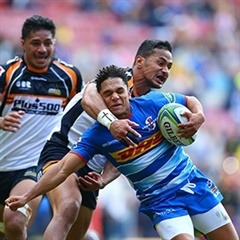 With the Waratahs soundly beaten by the Lions 46-22 in their semi-final in Johannesburg on Saturday, captain Bernard Foley weighed up the two matches and found it difficult to pick a winner in the final. The Lions "definitely have a chance", Foley said, while Waratahs coach Daryl Gibson rated the Lions pack as "equal to the Crusaders" eight. But he said they may have to review their tactics. "I think a sort of the all-court, all-field game is going to be the real challenge for the Lions," said Gibson, a former Crusaders and All Blacks teammate with now Crusaders coach Scott Robertson. "The Crusaders are very good with the ball in hand and getting to those edges. "It's going to be a brilliant encounter, it's going to be incredibly physical and that's the way the Lions should approach it." 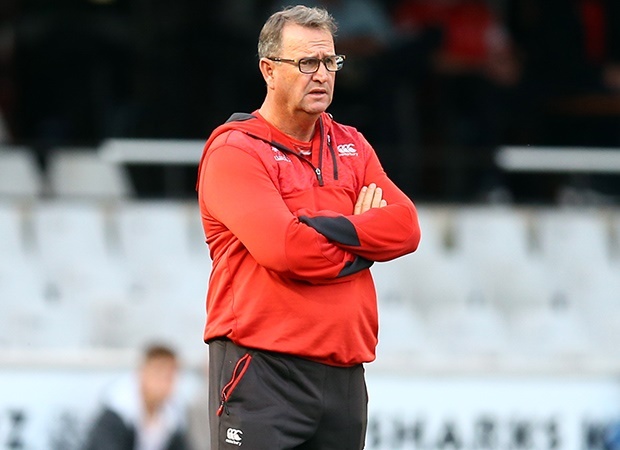 Lions coach Swys de Bruin insisted his side have learned from the mistakes made when they lost to the Hurricanes and the Crusaders in the last two finals, although he conceded the Crusaders had to be favourites. "The Crusaders are the favourites, they are a very good team, but it is still 80 minutes between four white lines so it will be interesting." The last time the Crusaders hosted a final at home was 10 years ago when they beat the Waratahs at Lancaster Park, which was destroyed in a devastating 2011 earthquake. From that side, Kieran Read, Wyatt Crocket and Tim Bateman remain in the squad.